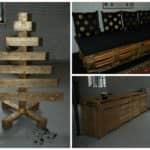 When we started 1001Pallets three years ago, lights & lamps were not the most common objects made from recycled pallets. But with time, some designers have taken this raw material to a new step, making beautiful lamps. Other people were then inspired to create their own. 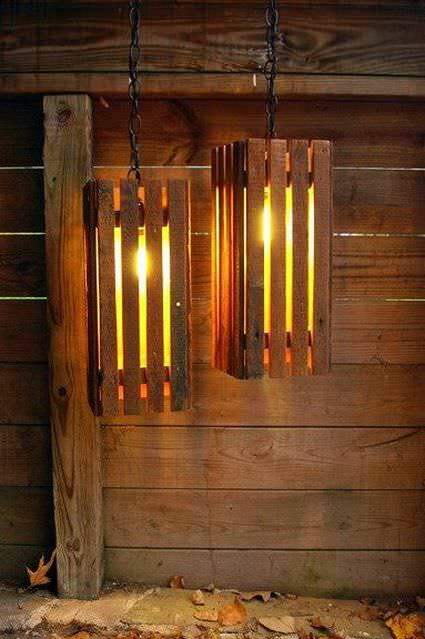 Thanks to their work, we can now feature a beautiful collection of lamps & lights made from repurposed pallets. 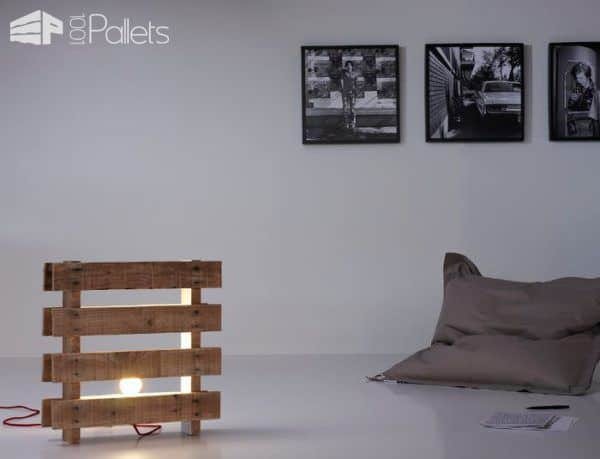 Here is our personal selection of the 40 most fabulous pallet lights! Hope you’ll be inspired to make one by yourself. 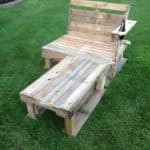 And of course, do not forget to share your work with us once it's done to inspire the next generation of pallet crafters! Two lovely pendant lamps made from old pallet wood for a rustic look. 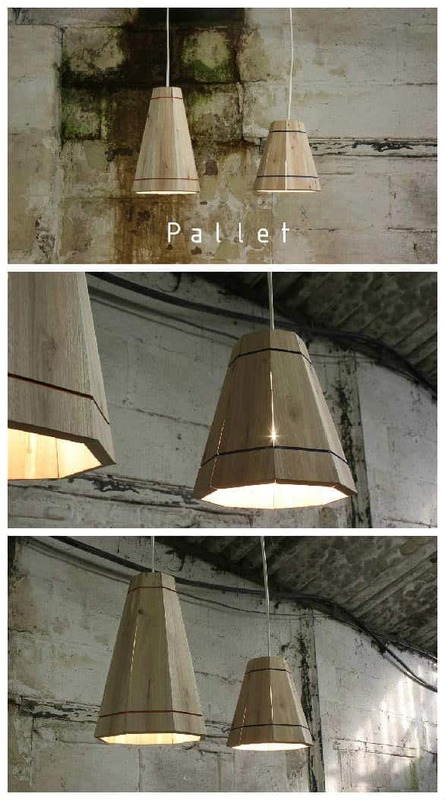 Pallet pendant shades with a very contemporary design. Floor lamps with a cube shape, perfect for a relaxed and warm atmosphere in your home. 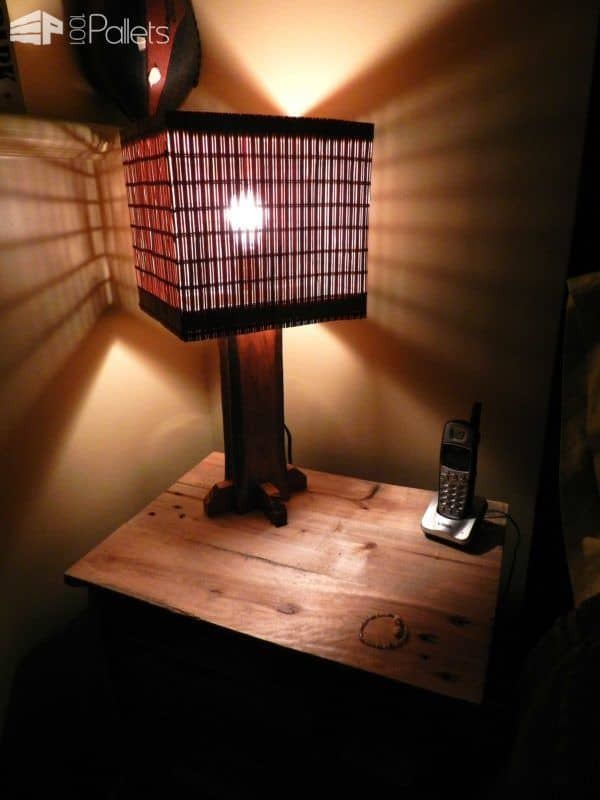 Desk lamp made out of several pieces of recycled pallet wood & a vintage wooden awning. 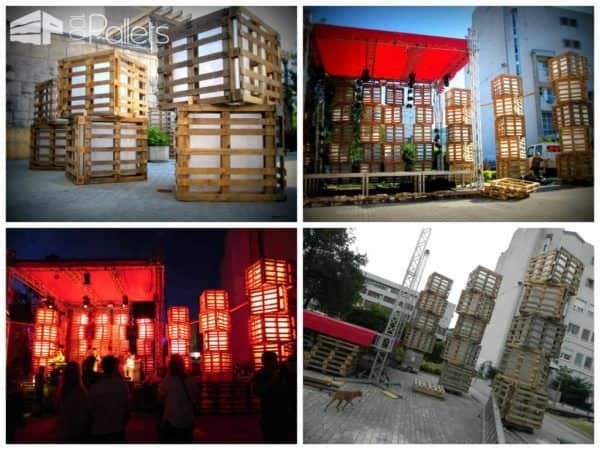 Huge light boxes made from reclaimed pallets for a summer festival in Slovenia, beautiful result! 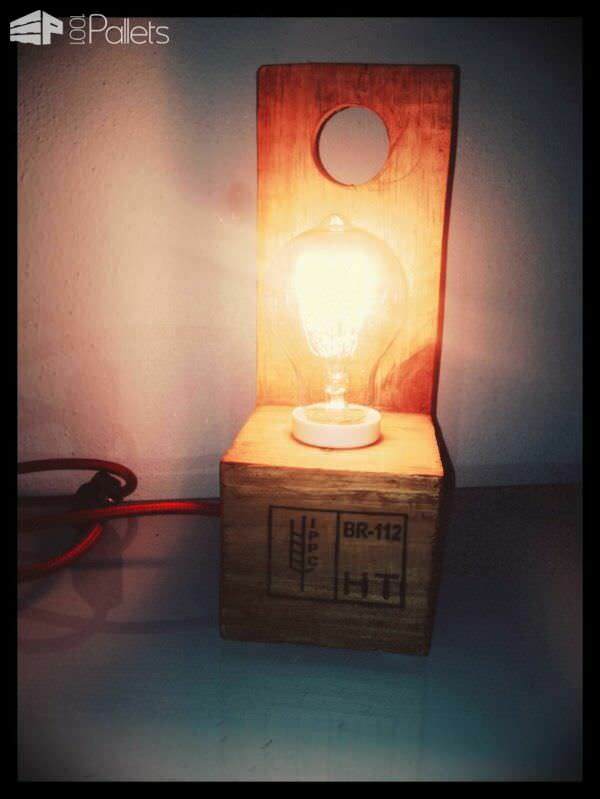 Little desk lamp made from one repurposed pallet block, a piece of a pallet plank & an Edison bulb for the vintage touch. 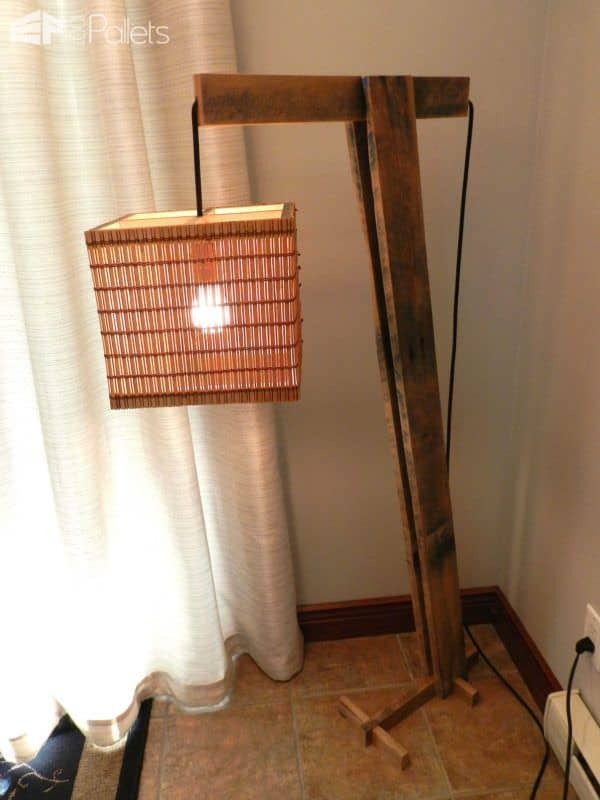 The red power cord gives to this lamp a modern aspect for a mix of vintage, rustic & modern. 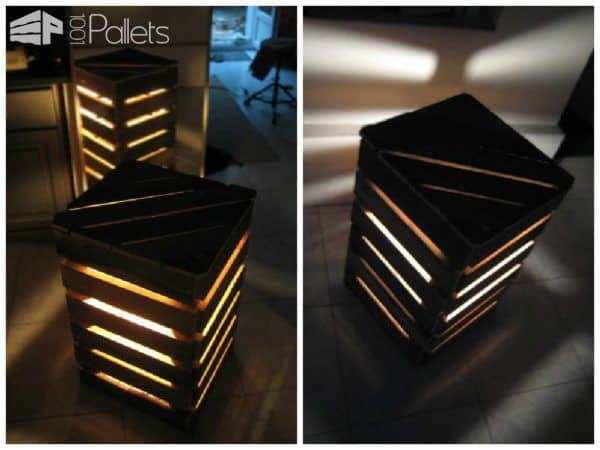 This lamp is more a mix between a framework made from one entire pallet and a workshop lamp to illuminate the frame. Very creative! 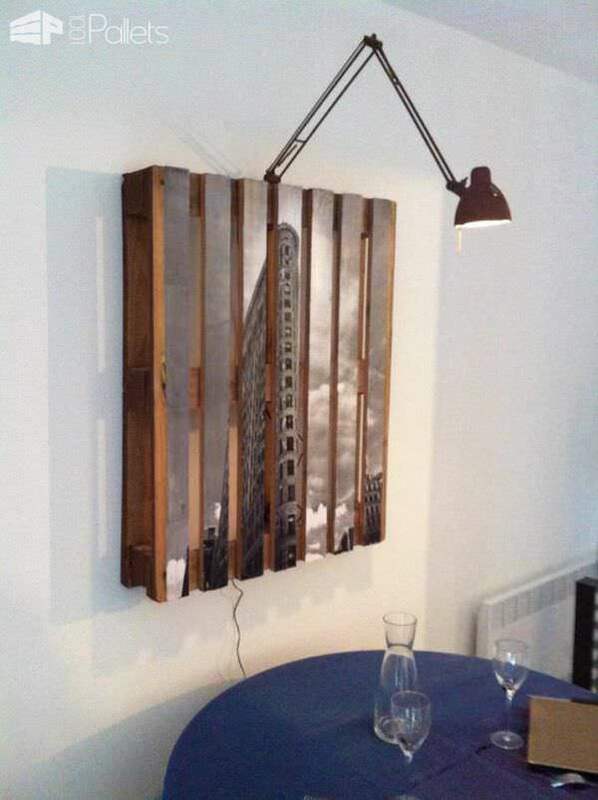 High floor lamp made from repurposed pallet planks. 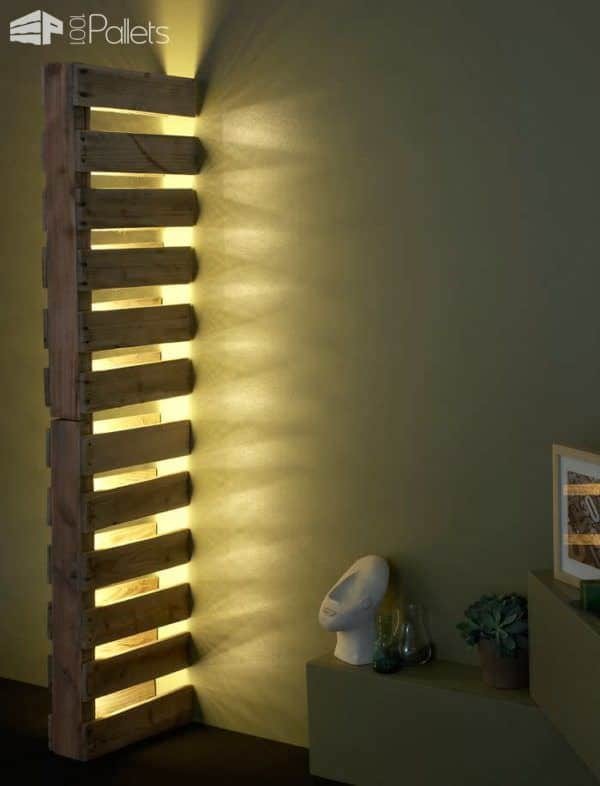 Design wall lamp that acts as a wall divider made by French artist Philippe Daney. Want to build this lamp? Download our Free PDF Plans! Another design pallet floor lamp made by French artist Philippe Daney. Idéias fantásticas! Amei.  Parabéns pelo site! O brigada. 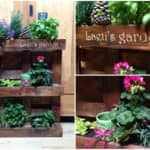 I always wondered what happened to all those pallets. Never thought you could make all of those useful items out of them, especially light fittings. It’s amazing what a bit of imagination can do.